Hundreds of species of birds live in the Chesapeake Bay watershed and are some of the region's most beautiful—but vulnerable—species. Some live here year-round, while others migrate here to feed or nest. 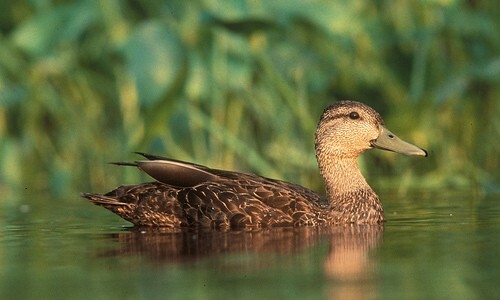 The American black duck is a dusky brown dabbling duck that appears black from a distance. It lives year-round along the quiet, isolated tidal wetlands of the Chesapeake Bay and its rivers. 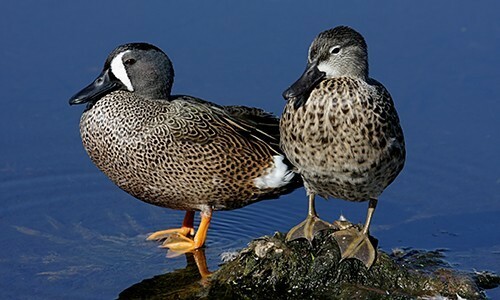 This small dabbling duck is named for the powder-blue patches on its forewings. It can be found in the marshes and wetlands of the Chesapeake region in spring and fall. The Canada goose is a large, plump bird with a brownish back and a long, black neck. 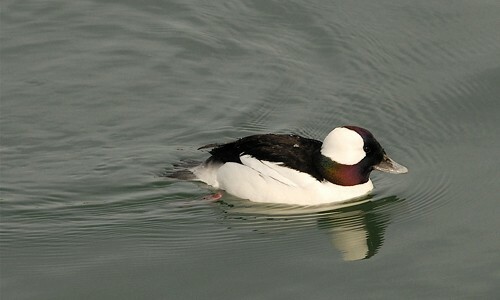 It is a common visitor to the Chesapeake Bay region from autumn through spring. 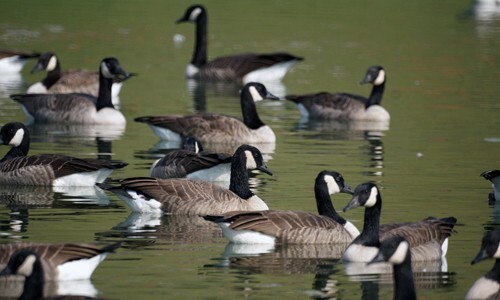 Many Canada geese also live in the Bay watershed year-round. 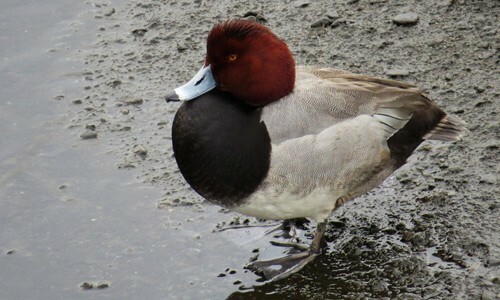 The canvasback is a large diving duck with a distinctive long, sloping facial profile. It visits the Chesapeake Bay and its tidal rivers from autumn through spring. 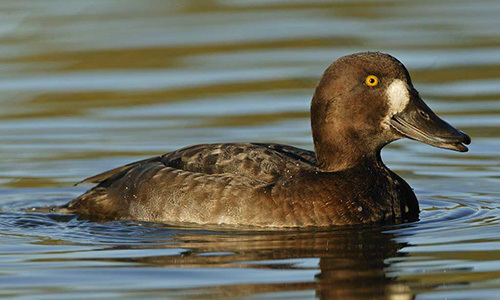 The greater scaup visits the east coast of the Chesapeake region during the winter. 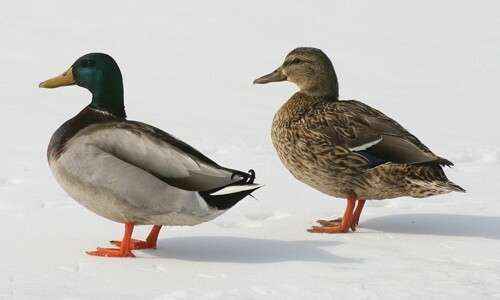 Females are brown with a white patch on their face, and males are white with a dark rump and head. 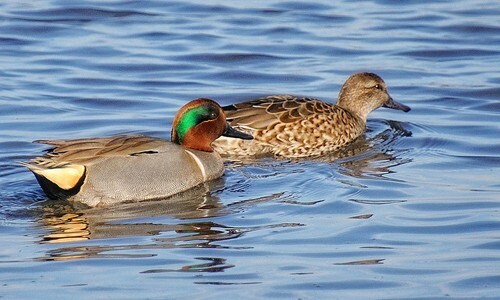 The green-winged teal is a small dabbling duck with iridescent green patches on its head and wings. It lives in tidal marshes and wetlands throughout the Chesapeake Bay and its rivers from autumn through spring. 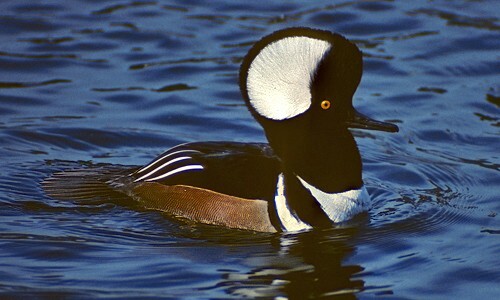 The hooded merganser is a diving duck with a distinctive fan-like hood on the back of the head. It lives on freshwater lakes, wooded wetlands and tidal shallows throughout the Chesapeake Bay watershed from autumn through spring. 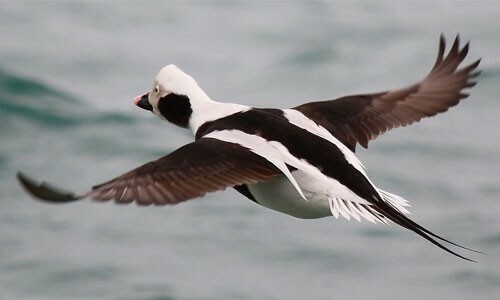 Once known as the oldsquaw, the long-tailed duck is a medium-sized diving duck with a short bill and heavy body, whose shape and structure are well-suited to diving deep into the water for food. Males possess two long and slender tail feathers, which give the species its common name. 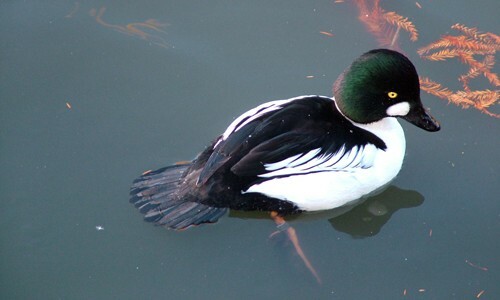 The mallard is an extremely common dabbling duck that is easily identified by its iridescent green head and white neck ring. It lives year-round on shallow waters such as lakes, rivers and marshes throughout the Chesapeake Bay watershed. 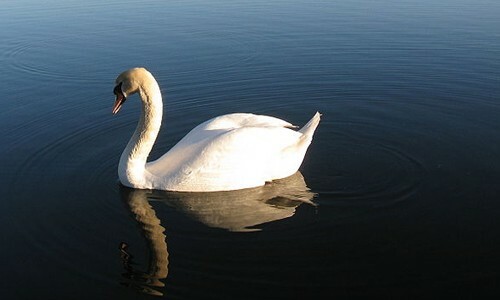 The mute swan is a large, white bird that lives on shallow waters throughout the Chesapeake Bay region. It is an invasive species. 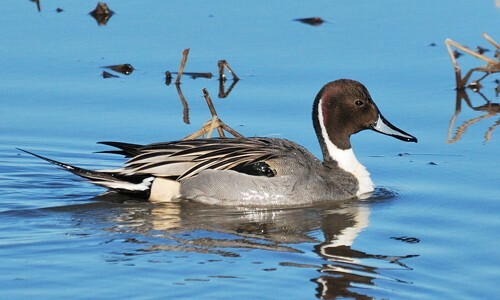 The northern pintail is a dabbling duck with long, pointed tail feathers. It visits fresh and brackish tidalmarshes and rivers throughout the Chesapeake Bay region from autumn through spring. 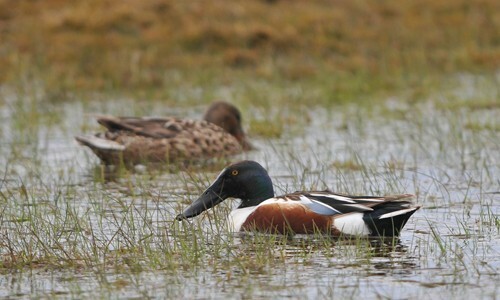 Also known as the spoonbill, the northern shoveler is a medium-sized dabbling duck with a distinctive shovel- or spoon-shaped bill, which it uses to separate particles of food from the water. 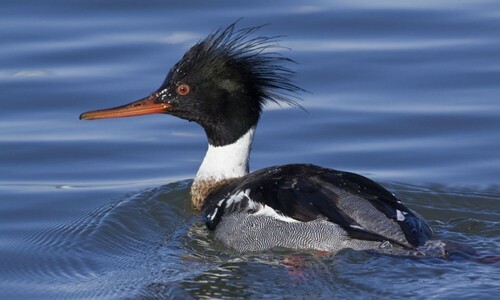 The red-breasted merganser is a diving duck with a long, serrated bill and a shaggy crest on the back of the head. It lives along the shores of the Chesapeake Bay and its tidal creeks and rivers from autumn through spring. 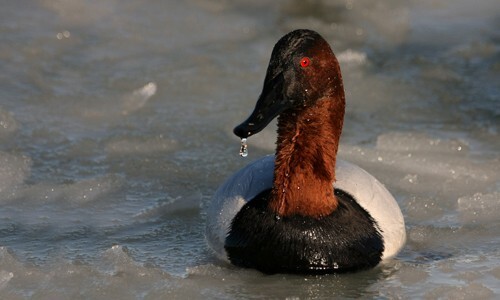 The redhead is a medium sized diving duck that visits the Chesapeake Bay during its winter migration to Texas and Mexico. 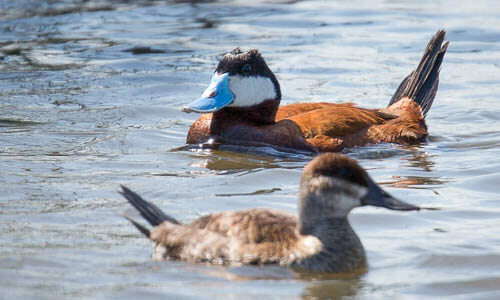 The ruddy duck is a small, chubby diving duck that visits the Chesapeake Bay and its rivers, marshes and freshwater lakes from autumn through spring. 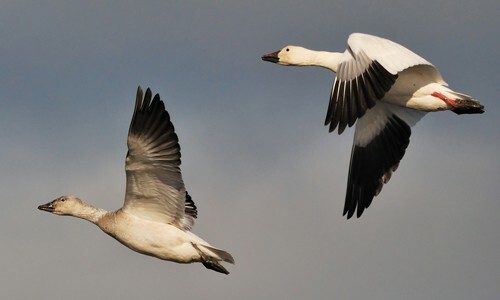 The snow goose is a plump, white bird that visits the Chesapeake Bay region in winter. 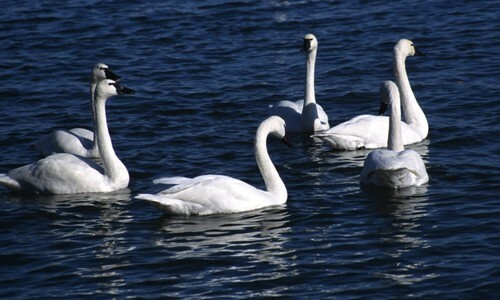 The tundra swan is a large, white bird that visits the shallow waters of the Chesapeake Bay and its tidal rivers and wetlands from autumn through spring. 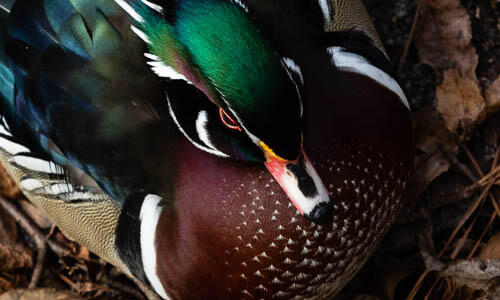 The wood duck is a beautifully colored dabbling duck with an iridescent green head, red eyes and white stripes on the head and body. It lives in the Chesapeake Bay region’s freshwater wetlands and streams from spring through autumn.